Research has shown that "the proper design and effective use of the built environment can lead to a reduction in the fear and incidence of crime and an improvement in the quality of life." That’s the theory behind Crime Prevention through Environmental Design (CPTED), an urban planning practice that studies how the built environment impacts social behavior. The key strategy is to use design to influence offender decisions that precede criminal acts. While we may not be the experts on all of the finer details of CPTED, we are the experts in site furniture and can offer suggestions on how site furnishings can be incorporated into planning for public safety and the prevention of crime. Subtle designs changes in the pre-planning stages of design can result in a cleaner, safer environment. Here we will break it down into 3 categories as it relates to site furniture: Seating, Perimeter Security and Litter Management. 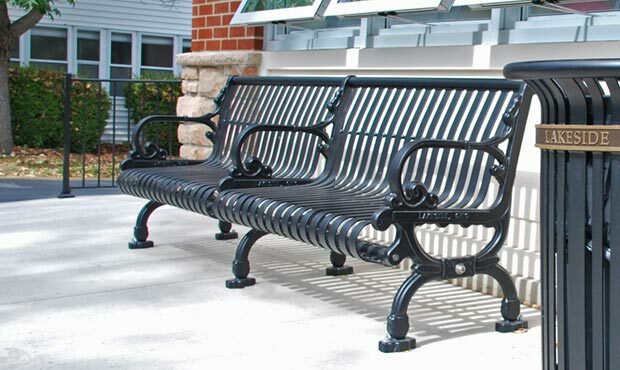 Benches – We all know the basic function of benches as a resting place along paths or sidewalks but the additional benefit is that the elevated seating allows for broad observation of the surroundings, giving users a greater sense of control and natural surveillance. The more benches that are available along the way, the more inviting it becomes. It allows users to see and be seen to help discourage crime. Also, consider how simple bench customizations can address improper usage. Center arms can easily be added to a bench to deter sleeping situations and skateblocks installed on the edges of a bench can prevent damaging skateboard traffic. 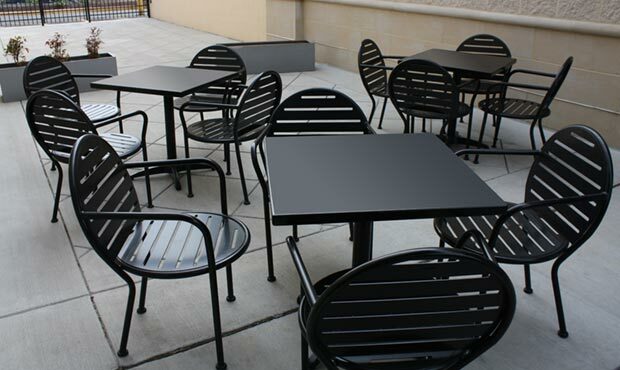 Table Sets - Single-seating furnishings and small tables are becoming increasingly popular in street furniture as an alternative to benches with extra arms. Table sets promote more social interactions and create a welcoming atmosphere. Leaning rails - If you have an area where you would like to discourage extended loitering, leanings rails are an excellent way to provide a limited form of seating in a space-saving solution. Bollards - Limit access to restricted areas, private spaces or poorly lit alleys with the use of bollards or decorative fencing. 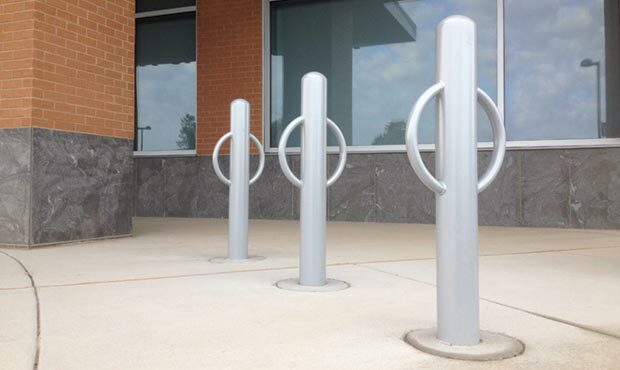 Options for removable bollards allow for closing off areas of isolation at certain times of day. Signage - Public paths should be clearly marked and signage should provide easy directions to parking and entrances. Knowing where to go allows pedestrians to feel safer and more confident in where they are going. 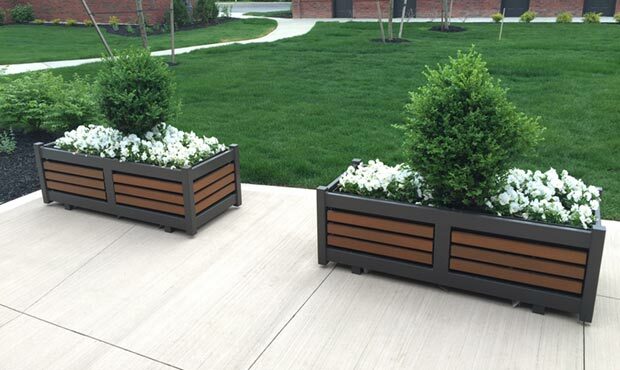 Planters - Strategically installed planters add life to a space with flowers and greenery while also being used as a decorative way to establish a perimeter and provide natural access control to keep unauthorized persons out of a particular space. The low profile of planters also helps to keep open site lines and visibility of potential vandalism. Trash Cans - It’s no secret that clean streets offer an intangible sense of security and a sense of community pride. Well thought out trash can placement encourages proper usage and less littering. Maintaining a positive image helps to deter unwanted activities. 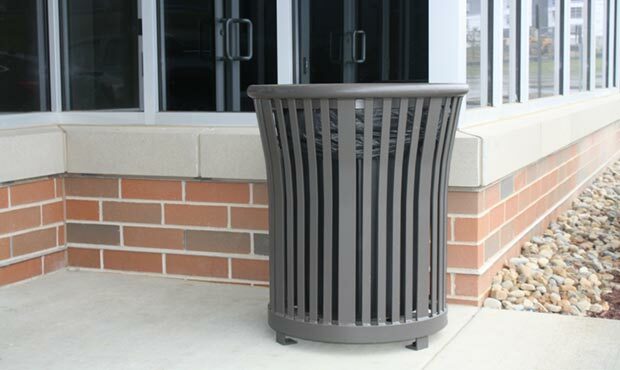 Smoking Receptacles - Keeping smoking areas separate and defined with appropriate ash receptacles keep cigarette butts in their place while not disrupting the air quality of your main public spaces. With all of these furnishings, durability definitely plays a role. Durable, vandal-resistant materials that are low-maintenance and easy to clean help to keep public perception positive. 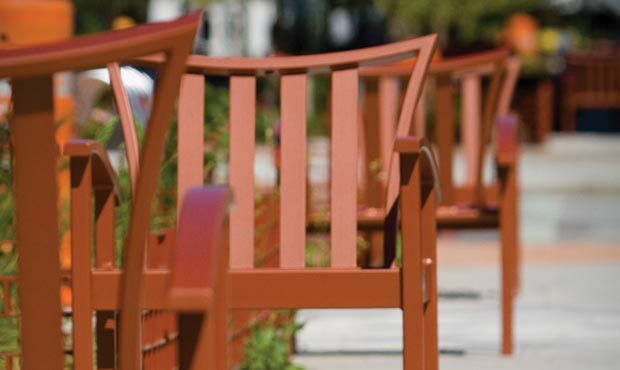 There is no one-size-fits-all solution to promote safety and prevent crime, but outdoor furniture can easily add to the pedestrian environment and offer a greater sense of ownership and safety in your public spaces. The installation of furniture helps to encourage more activity and with more public activity and more eyes on the street, crime becomes less likely. It’s a small piece of a much larger puzzle but every subtle change can make a difference.